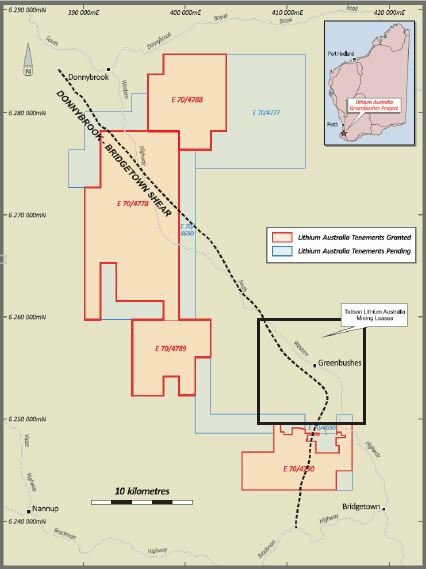 Lithium Australia (ASX:LIT) has doubled its acreage next to the world’s largest producing lithium mine. The granting of three exploration licenses sees LIT expand its footprint in the world renowned Greenbushes province. 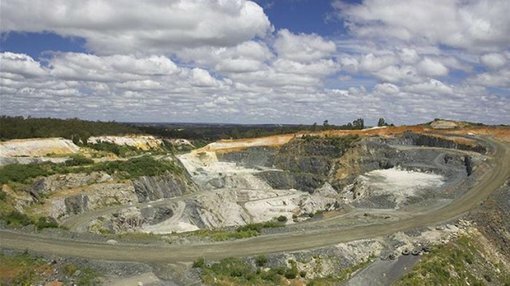 Located 200km south of Perth in Western Australia, LIT’s granted tenure is next to Talison Lithium’s Greenbushes Lithium Mine, which is pumping out almost 740,000 tonnes per annum of concentrate. Which equates to roughly 40% of the global lithium supply from pegmatities. The area covered by the licenses contains vast sums of pegmatites, which appear to be structurally controlled. LIT holds an 80% stake in the Greenbushes project, the remaining 20% is free-carried to the point at which a decision is made to undertake a feasibility study. Details of LIT’s granted tenements in the Greenbushes area. Initial phases of exploration have already commenced and will employ non-invasive technologies to model the chemical evolution of the intrusive rocks forming part of the pegmatite complex. LIT is seen as a leader in the development and implementation of such technologies. The geochemical profiles will also help delineate the more prospective structural trends for further examination.